Gone are the days when cars made in Britain were British. Monday’s sale of Vauxhall/Opel to Peugeot meant only the transfer of two large English factories from the German subsidiary of an American firm to a French company, accompanied by the ritual promises that jobs would be safe. These seem insubstantial, given that the new management plans to save €1.7bn a year from the old Opel operation, while the Vauxhall factories made a heavy loss after the pound’s post-referendum slide. Yet the contortions of government policy which once accompanied threats to the car industry went quite unseen this time. But there is one small aspect of the deal in which it appears that Mrs May’s industrial strategy might be an intelligent deployment of very limited resources. The future of the car industry is clearly electric, and the development of battery technology – something the government plans to support – will be vital. Against the protectionism practised by the Chinese government, which is determined to dominate the world market, and to supplant the Japanese and Korean firms which now provide most of the world’s batteries, any effort by the British government is likely to prove inadequate. Especially a British government which has ended its own participation in the single market; but at least it is playing in the right game. At the moment, wholly electric cars are still a tiny minority of those on the road, but their number is growing very fast as they become more affordable and more practical. Their advantages to society are obvious: they pollute far less than internal combustion engines, and use less energy too. 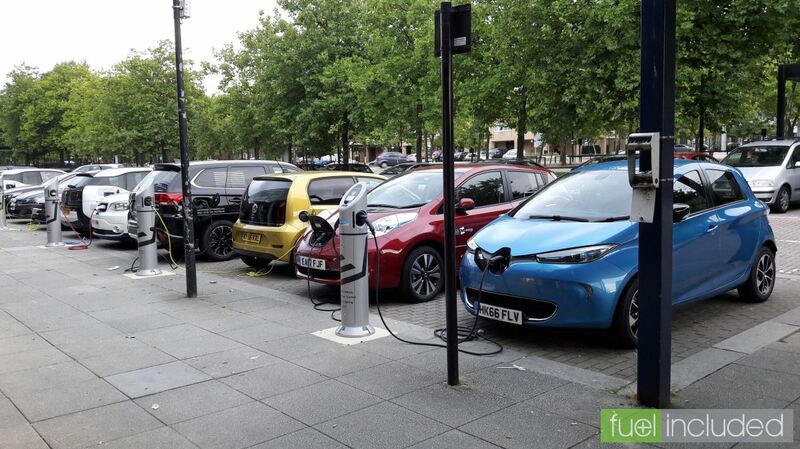 A city of electric cars will be cleaner and quieter than our present stinking streets. And at some stage in the next decade, their advantages to private drivers will become overwhelming. The electric car will become a mainstream status symbol and it is the buyers of internal combustion vehicles who will feel like weird outsiders. The Dutch parliament has considered a measure which would make all cars sold there electric by 2025. A recent thinktank report suggests that 10 years after that a third of all the vehicles sold in the world will be electric. New electric cars must travel further and need less time to recover from their journeys than those that can be bought today, when long journeys are still fraught with anxiety. This means lighter batteries that hold more charge and can be charged more quickly; they are appearing already and the huge amounts of global investment make it likely that progress will continue and technology will supply what the market needs. Stepping back for a moment, the rise of electric and largely automated cars might change the world around us almost as profoundly as the internal combustion engine did. Part of this is their obvious role in transportation. All-electric traffic will be faster, reversing the trend of the last century. Lighter cars will accelerate and brake more quickly, while increasing automation will mean traffic moves more freely. If those trends continue, the private car might disappear altogether, replaced by a network of hired autonomous vehicles, at least within cities. The beginnings of this development are already visible in the reluctance of young people to learn to drive. Less obvious, but just as important, are all the symbolic values of cars. It’s not just for Bruce Springsteen that they embody freedom, autonomy and power. The car that you own says almost as much about your social position and your aspirations as the clothes you wear. Car ownership was for much of the world a mark of status in the way that owning a horse made you a knight. The coming revolution threatens far more than the vehicle manufacturing industry. If cars do come to be valued for their usefulness, not as means of ostentation, the motor car would become only a status symbol for the rich, as useless, if still as loved, as the private horse now is.